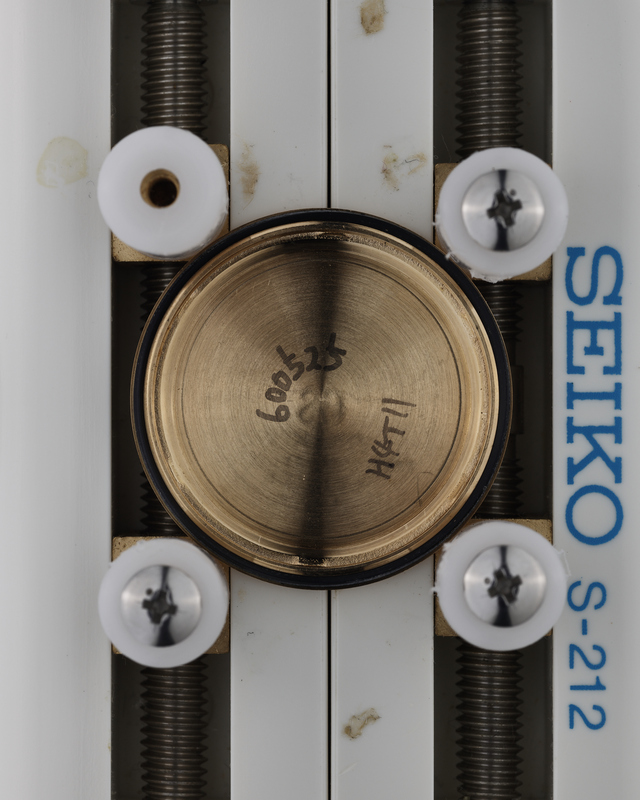 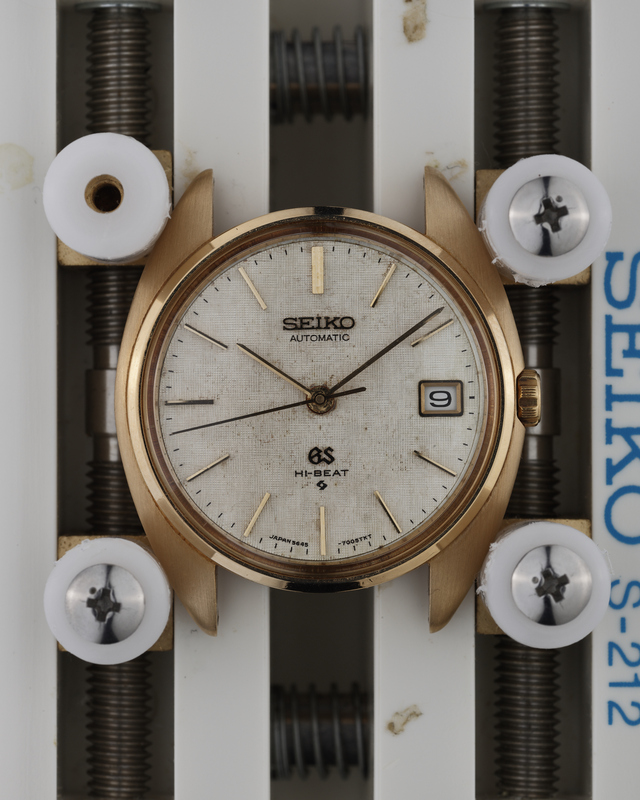 Introduced in the second half of 1973, the 564x-7005 references are the solid 18k gold versions of the steel-cased 564x-7000 models, and like their steel cousins, were available in date-less (5641), date (5645) and day-date (5646) versions. 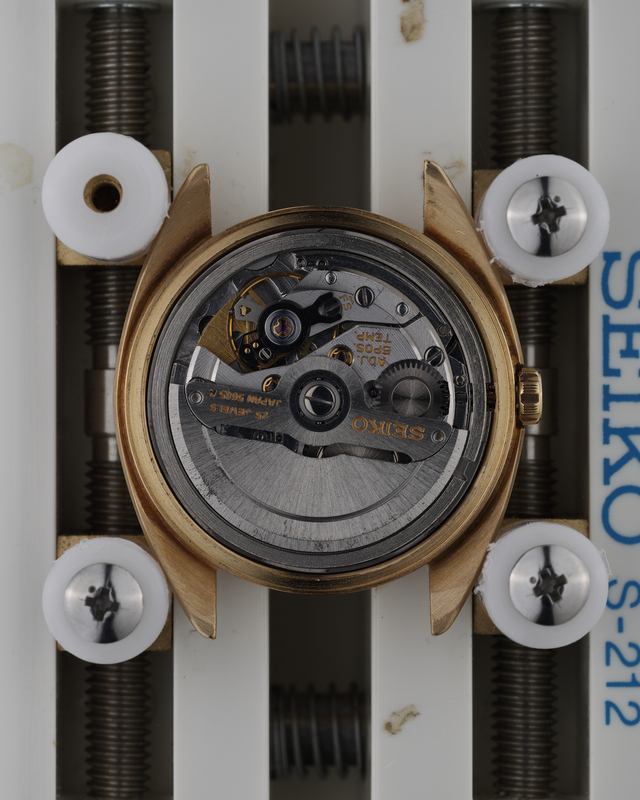 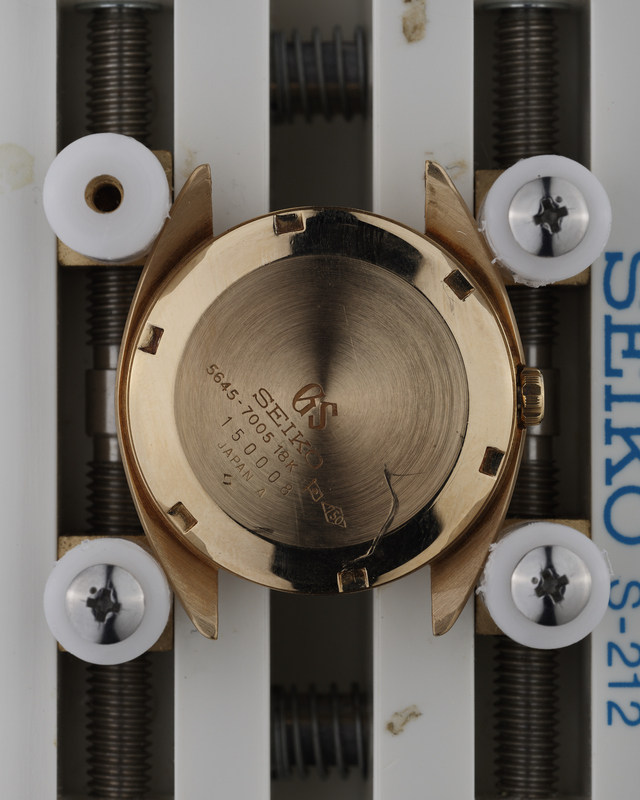 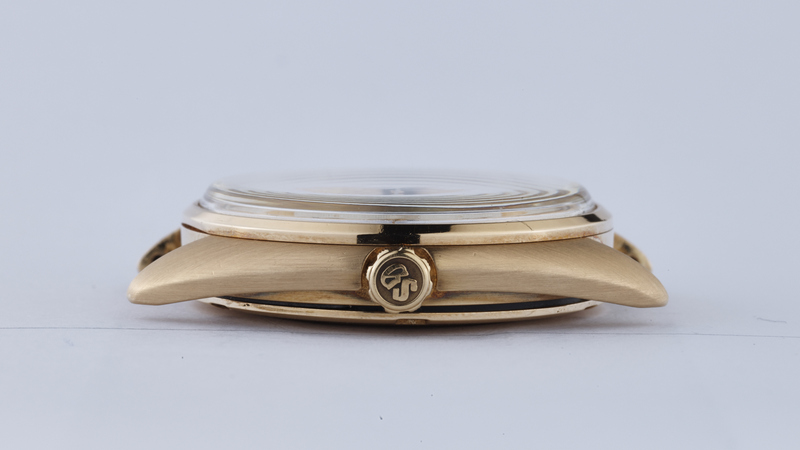 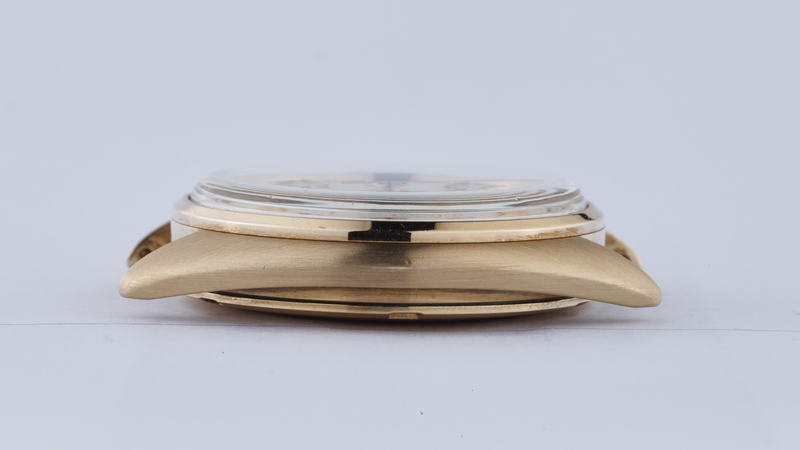 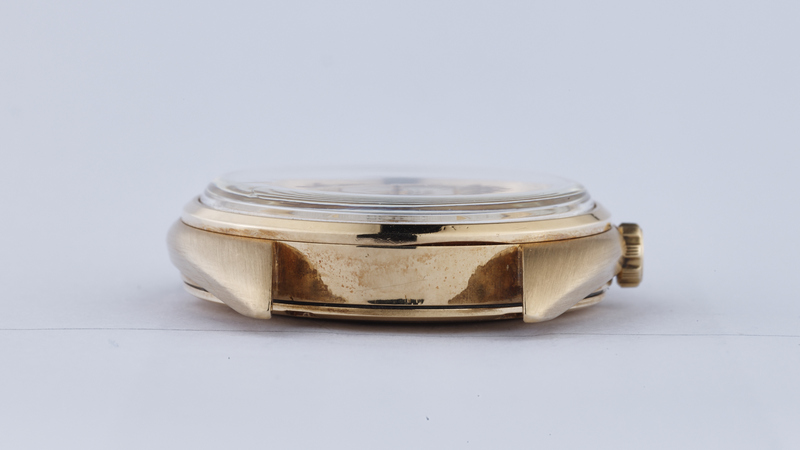 The case of this particular example is in superb condition, with only some scratches on the case back as evidence of a clumsy effort to open the watch at some time in the past. 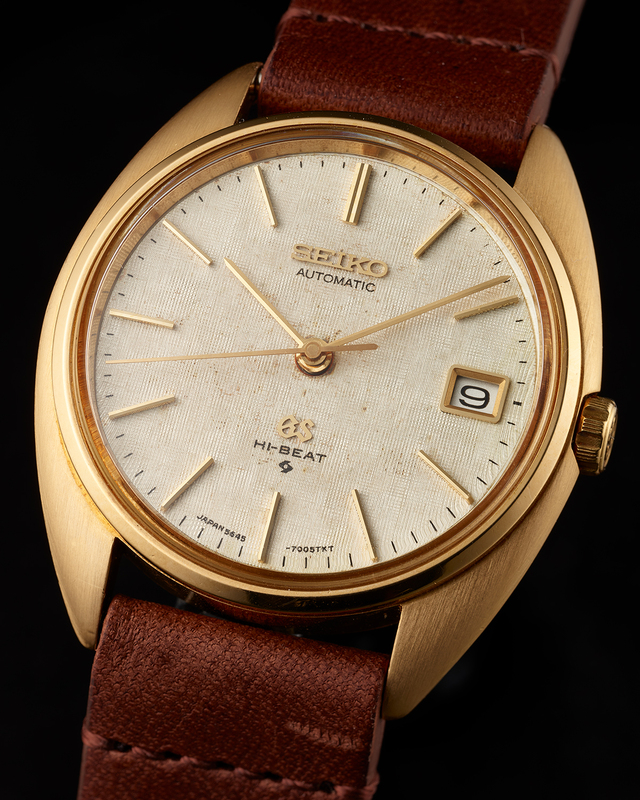 The linen textured dial is in beautiful condition. 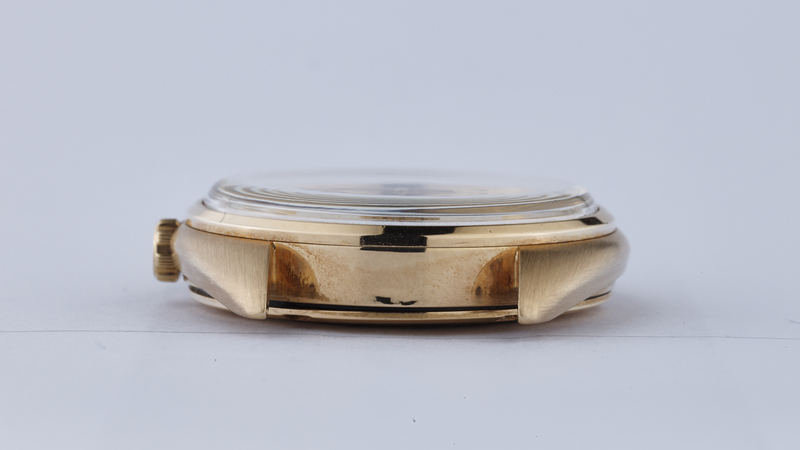 On a timegrapher in the dial-up position, the watch is running at around -30 seconds per day.